Oregon Scientific BAR266-BK Alizé Weather Station - Black is a new range of Weather Stations with a sleek and modern design designed especially for modern home owners who are in need of a simple and quick way to know the time and local weather information. Bringing you all the vital weather information you need to plan your day. 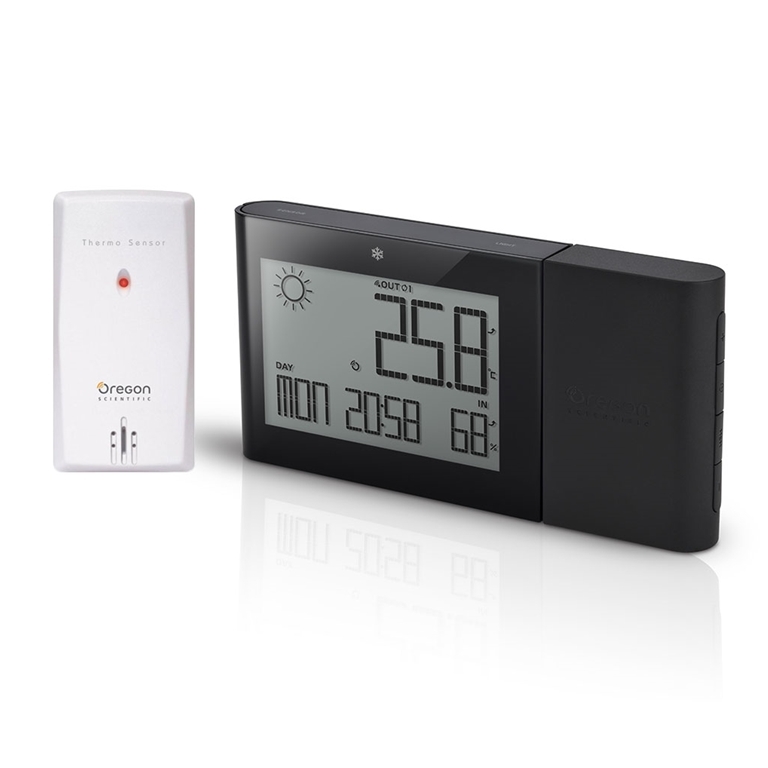 The Wireless Weather Station clearly displays the weather forecast, radio controlled clock, date and indoor and outdoor temperature, indoor humidity and ice alert on a large easy-to-read LCD screen. Receiving information from a wireless outside sensor (one included) combined with a handy Ice Alert feature also lets you know when outdoor temperatures are nearing freezing. Perfect for both gardeners and motorist alike. The device supports up to 5 channels allowing temperature monitoring in up to 5 remote locations by using additional wireless sensors. The time is radio-controlled (atomic) which is precise to the second and adjusts automatically to and from Daylight Savings Time, which means you will never have to set the time again. The station can also be adjusted to automatically pick up the either the European or US radio controlled signal making it perfect for the international traveler.